Walkers will be retracing the footsteps of rebels on what is the 300th anniversary of the Jacobite rising in the Northumberland. In 1715 a Jacobite army moved up and down the county as it tried to keep one step ahead of Government forces. 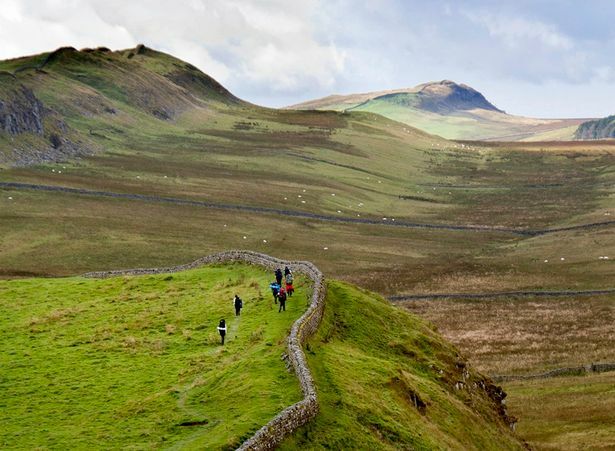 The route which took them to their overnight camp in the Vale of Nunsbrough near Slaley will be one of the walks in the Haltwhistle Walking Festival, which runs from April 25 to May 4. The Jacobites were led by Thomas Forster, a nephew of Nathaniel Crewe, Bishop of Durham, and James Radcliffe, 3rd Earl of Derwentwater, who was later executed for his role in the rising. They camped beside the river before setting out to raise the standard of the exiled James Stuart, the Catholic son of James II, as rightful king in place of George I. The fully-booked walk will be led by Northumbrian historian and walking enthusiast Richard Young. He has written a book of 15 walks which ate based on the 1715 rising, known as The Fifteen. Richard’s book, called The ‘15 Walks, follows the movements of the Jacobite force. “When I started to look into the movements of the Jacobites around the county I soon realised that, without knowing it, I had walked many of the paths they had followed 300 years earlier,” said Richard. “The Hexhamshire area in particular has a number of sites associated with the rising. The Jacobite plan had been for a French force to land at Alnmouth to support the Northumberland and Scottish risings, with the combined forces marching on Newcastle. Corbridge to Hexham, passing near the ruined Dilston Castle, where James Radcliffe had his Dilston Hall mansion. Rebel Hill near Catton. This was one of the locations where the Jacobites raised the Stuart standard. Holy Island. Jacobite sympathisers Lancelot and Mark Errington seized Lindisfarne Castle bit it was retaken a day alter by a Government force from Berwick. The Erringtons were imprisoned but escaped. Lancelot was later pardoned and lived as a publican in Newcastle. Felton. A force of 70 Jacobite horsemen was sent to hold the bridge at Felton against Government troops. Warkworth to Alnmouth: James Radcliffe, Thomas Forster and other Jacobites dined at the Mason’s Arms in the village and proclaimed James Stuart as king outside the hostelry. Another of the festival walks, also fully booked, leaves the village of Catton to climb Rebel Hill. The Haltwhistle Spring Walking Festival - the 25th- which starts on April 25 is offering 25 diary dates, consisting of 24 walks and an evening social event. The festival began in 2003 and around 650 walkers are expected to take part in the spring programme. There are still places available on a five-mile poetry walk on May 3 starting in Haltwhistle Market Place with the circular route taking in the Alston Arches, the River South Tyne and part of the Haltwhistle Burn. Participants are invited to write a poem or poems inspired by the places to be visited with readings en route. 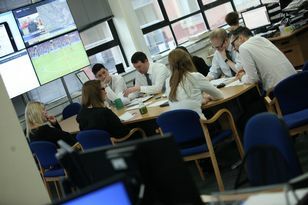 Details and photographs of the different sites will be provided by email after booking to start the creative process. It starts at Renwick in the Eden Valley in Cumbria and climbs up on to Thack Moor, which in 2013 was re-measured by GPS and accepted by the Ordnance Survey to officially be over 2,000ft in height, thus becoming a mountain. The 50th anniversary of the Pennine Way is marked by three fully-booked walks spread across May 1-3. The legs, mostly along the Pennine Way, are Carter bar to Cottonshopeburnfoot (12 miles), Cottonshopeburnfoot- Bellingham ( 13.5 miles) and Bellingham-Housesteads. Also full is an archaeology walk taking in Whitley Castle, site of the Roman camp of Epiacum and Whitley Common with former lead mines and the remains of 22 medieval shielings, plus several prehistoric hut circles. On April 26, a Pits Poets &amp; Peewits walk follows the River Derwent to Blanchland, where the route climbs Buckshot Fell, joining the Lead Mining Trail past Sikehead Dam, believed to have been the setting for some of W.H. Auden’s early poetry. A walk on May 2 visits the newly-restored Wobbly Bridge at the National Trust’s Allen Banks. The restoration project, after the suspension bridge was washed away by severe flooding, was helped by contributions from the Haltwhistle Rings Walkers and from the walking festival. “The festival has become really well established and it has put Haltwhistle on the map,” said Marj Baillie, one of the festival organsiers. Walk bookings and full programme on www.haltwhistlewalkingfestival.org or 01434 322025. 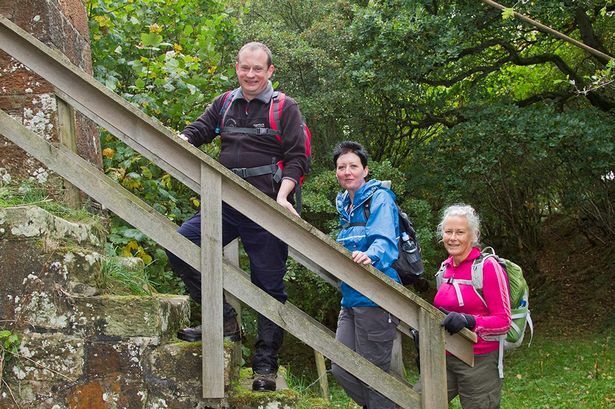 The Haltwhistle autumn walking festival will run from October 3-11.